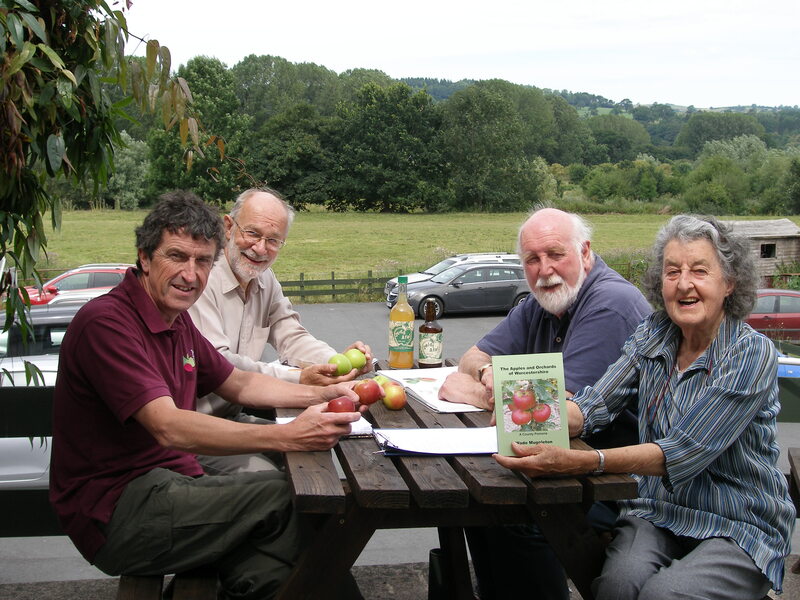 The Marcher Apple Network started life as a group of apple enthusiasts keen to revive old varieties of apples and pears. Since then MAN has become a charity which strives to protect these varieties in a number of different ways. 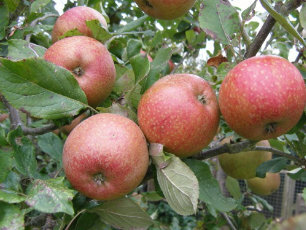 We have our own heritage orchards that house rare varieties from the Welsh Marches. We ensure that we have several copies of each variety, both identified and as yet unidentified, so that the unique characteristics are preserved. We have recently sent many varieties to be DNA tested, contributing to the possible development of a DNA database. 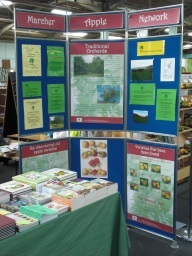 We attend shows during Autumn and offer identification services and we help our members, organisations and the general public with orcharding matters. We would like to thank The Three Counties Traditional Orchard Project for invaluable funding so that we can bring you our new website. 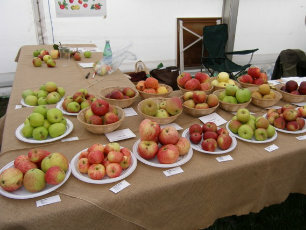 A corner of MAN’s stand at an autumn show. MAN is made up of its members, without you we would not be able to continue with all the work we do. The Marcher Apple Network tries to include details of all relevant events within the Marcher Counties and the more significant national events. Copyright © 2019 · Marcher Apple Network. A Company Limited by Guarantee number 3787303, Registered Charity Number 1095151.